"Financial returns are simply the result of Apple's innovation, putting our products and customers first, and always staying true to our values," Cook said in the memo. 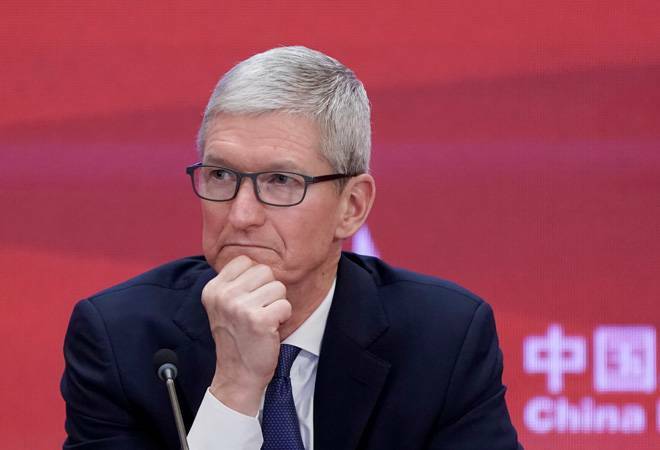 Apple Inc (AAPL.O) Chief Executive Tim Cook said on Thursday that the iPhone maker's $1 trillion market capitalization was "not the most important measure" of the company's success but was instead a result of its focus on its products, customers and company values. In a memo to Apple's more than 120,000 employees that was seen by Reuters, Cook called the valuation a "significant milestone" that gave the company "much to be proud of." But he said it should not be the Cupertino, California, company's focus. With a closing price of $207.39 on Thursday, Apple became the first publicly listed U.S. company to ever reach $1 trillion in market capitalization. Apple's stock market value is greater than the combined capitalization of Exxon Mobil (XOM.N), Procter & Gamble (PG.N) and AT&T (T.N). It now accounts for 4 percent of the S&P 500. Cook had not previously publicly commented on the company's $1 trillion valuation. "Steve founded Apple on the belief that the power of human creativity can solve even the biggest challenges - and that the people who are crazy enough to think they can change the world are the ones who do," Cook wrote in the memo. "Just as Steve always did in moments like this, we should all look forward to Apple's bright future and the great work we'll do together." Could this be Xiaomi's response to Reliance JioPhone?